How is Exercise Induced Pulmonary Hemorrhage in Horse Diagnosed? Exercise-induced pulmonary hemorrhage is one of the common disorders affecting race horses. Bleeding can occur each time a horse performs extreme exercises like racing. Also, pulmonary hemorrhage can happen in polo ponies, steeplechasers, and in three-day eventers. Of all these horses, what stands out is intense exercise. Although this condition has been known about for over 300 years, there isn’t any conclusive research on the true cause of bleeding in horses. Is EIPH a Condition or a Disease? Although serious bleeding can wreak havoc in a horse’s lung, the effects are temporary. However, cumulative effects could interfere with a horse’s respiratory functioning resulting in poor performance. Experts believe EIPH is a condition or a syndrome and not a disease. Studies show that bleeding horses perform well in races. While there have been reports of sudden death in racehorses where blood was in the lungs, scientists believe that this could have been a result of impending death, but not a cause of death. How is Exercise Induced Pulmonary Hemorrhage Diagnosed? Some of the signs that could indicate EIPH include stopping during exercise, poor performance, and bleeding from the nostrils. One of the common ways to diagnose EIPH is through an endoscopic examination. The examination takes a look at the large bronchi and the trachea. The process is done after an hour of intense exercise. The delay allows the blood within the lungs to get to the trachea. Blood may be present in the trachea for a week. A vet may perform an endoscopy on a number of times to confirm if a horse has pulmonary hemorrhage. Sedation or a nose twitch is necessary to allow the examination. Another procedure that may help diagnose EIPH is bronchoalveolar lavage. With this procedure, an amount of liquid is put into the airwaves using a tube. The fluid collected goes under analysis to diagnose EIPH. A local anesthetic helps to perform Bronchoalveolar lavage. It’s critical to note that there isn’t a single treatment for EPIH in horses. Nonetheless, a supportive regimen can help you manage the condition. The vet may administer Furosemide to reduce the incidence and severity of EIPH in racehorses. Also, you might choose to apply a nasal dilator band to reduce RBC counts in Bronchoalveolar fluid from an effected horse. You might also need to make certain lifestyle changes. 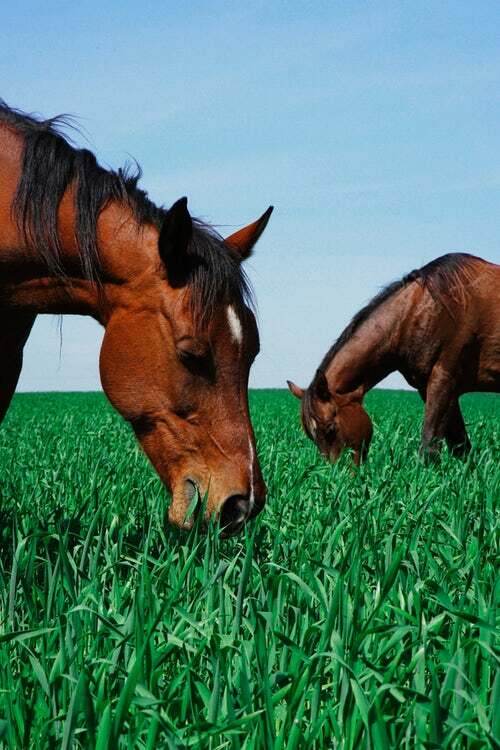 You need to ensure there’s good ventilation, maintain good quality hay, and reduce the horse’s exposure to fungi, mold spores, and allergens. Also, you may need to clean the stall regularly, exercise the horse, and allow your horse to rest. The use of Nitric Oxide in treating EIPH is still under research. It’s believed that nitric oxide acts as a vasodilator which allows the capillaries to expand and accommodate a sudden increase in blood pressure and volume, thus reducing the effects of EIPH. Exercise induced pulmonary hemorrhage can limit your horse’s performance. Certain measures can be taken to reduce the risk of recurrent bleeding.